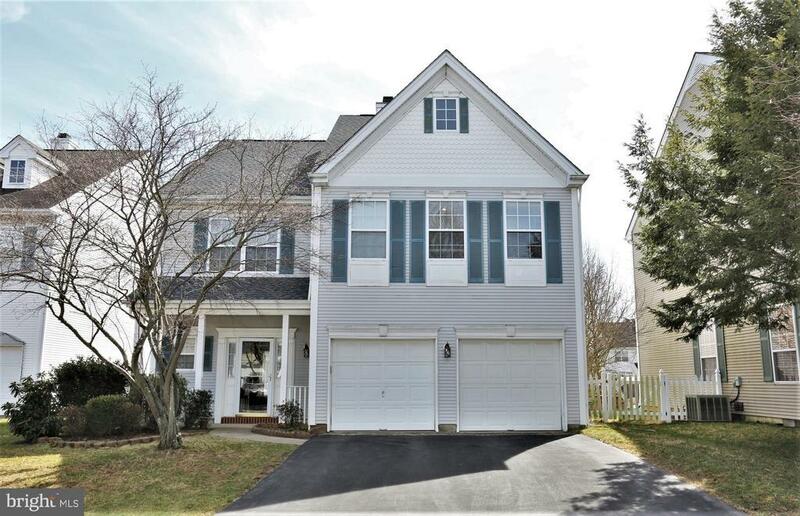 This beautiful NORTH facing home with 4 beds & 2.5 baths situated in a sought-after community in PRINCETON CROSSING, in the excellent blue ribbon award winning West Windsor-Plainsboro school district. Absolutely ready to move in w/numerous upgrades incl: ROOF (2014), FURNACE (2015), A/C (2015). The first floor invites you to the gleaming HARD WOOD FLOORING in the foyer, living, dining, and in the family room. The SUN-LIT family room has a cathedral ceiling. The kitchen has GRANITE counter, kitchen exhaust, garbage disposal and few of newer STAINLESS STEEL appliances. The powder room completes the 1st floor. The second floor has very generous size 4 bedrooms and 2 full baths. The Master bedroom has a vaulted ceiling, nice size walk-in-closet, and bathroom with soaking tub and stall shower. The other 3 bedrooms and 2nd bath completes the 2nd floor. Fenced backyard is great for gathering and entertainment. Sold As Is.